Mark Farrell (San Francisco District 2 Supervisor) used a photo that I sell on his newsletter. I contacted his staff and asked them to pay for the rights (it would only cost $58.99). His staff member acknowledged that they had used my picture on their newsletter and promptly refused to pay for it. I know that this happens. I’ve had plenty of photos stolen by bloggers. I guess I just thought a government representative would do the right thing. Instead, they offered to “give me credit” … on the archive of the newsletter – great. The Office of District 2 Supervisor Mark Farrell has used an image for which I own the copyright and which I sell. You can find that you have used this image at http://archive.constantcontact.com/fs196/1102968924062/archive/1112625953806.html. 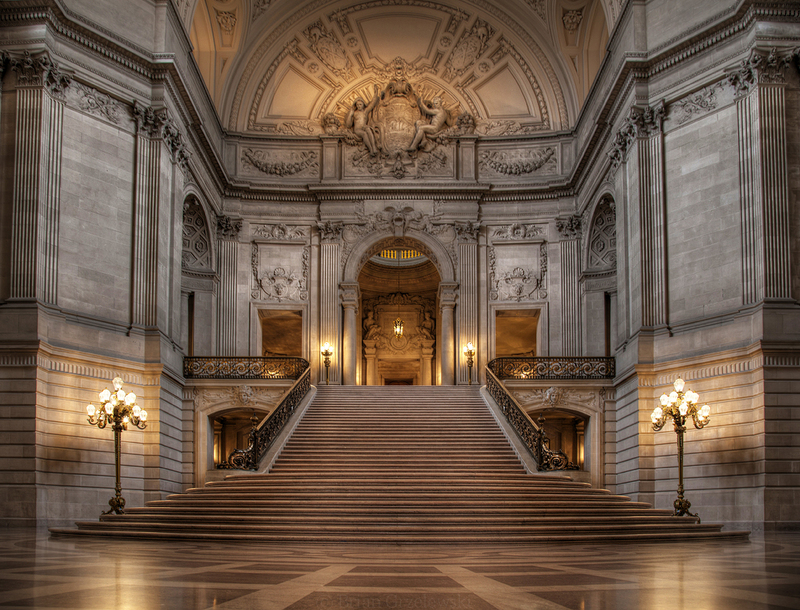 It is the picture of the interior of the San Francisco City Hall. Please go to http://www.briansart.com/Photography/San-Francisco/25298183_bL7BFJ#!i=2078797371&k=r25RHFq to purchase the rights to use this image. You probably only need the smallest size which only costs $58.99. After clicking the link to my site, simply click on “Buy” “this image”. Then click “Downloads” and “commercial license”. If you need any help, let me know. Sorry for the delay in getting back to you. Thanks for brining to our attention that we used your photo in one of our past newsletters. We’re more than happy to remove the photo or properly update our newsletter to give you credit, if you would like. Please let me know if you would like us to do any of these options. After discussing with our city attorney, who has dealt with similar instances like the one in front of us, they advised us that we used your picture under what is called “fair-use,” which simply means being used for a “non-commercial” purpose. With that being said, we are not going to purchase a copy of the photo or pay for one, unfortunately. Please let us know if you would like us to pursue any of the options above concerning your photo, and thanks for brining to our attention that we used your photo. I will discuss below why it is not “fair use”. However, may I suggest that rather than spending your time and your lawyer’s time on trying to get out of paying, it would be a better use of your time to simply pay the $58.99 that I have requested for this image. And now on to why this is not “fair use”. There are four factors in determining “fair use.” First to justify the use as fair, one must demonstrate how it either advances knowledge or the progress of the arts through the addition of something new. Your use does not transform in any artistic way. The second factor, Nature of the Work, certainly merits copyright protection. It is a uniquely processed photograph. The third factor assesses the quantity or percentage of the original copyrighted work. The entire work was used. As the fourth factor, the court not only investigates whether the defendant’s specific use of the work has significantly harmed the copyright owner’s market, but also whether such uses in general, if widespread, would harm the potential market of the original. Clearly, widespread use, similar to yours, diminishes my ability to market the work. None of the four criteria for “fair use” are met. Please simply pay the $58.99 that I have requested for the use of this photo and let’s put this behind us. This entry was posted in Announcements by Brian. Bookmark the permalink. Just to let you know that I really like that picture for starters and can see why they would have used it. Also just letting you know that I have just sent an email to them in regards to this as well, and letting them know that your story has started to travel the world to down here in Australia. Hope you get a result. Thanks, Anthony. I’ll let you know if I can get them to see the light.